This is coming after several people were allegedly killed by security operatives on Saturday, August 26, 2017, during a protest. The Imo state chapter of the Peoples Democratic Party (PDP) has called on President Buhari to declare a state of emergency on Imo state. This is coming after several people were allegedly killed by security operatives on Saturday, August 26, 2017, during a protest over the demolition of the Eke Onunwa market by the Imo state government. The spokesman of the PDP in Imo, Chief Enyinna Onuegbu said the state has been in mourning since the occurrence. Onuegbu also added that everyone has been praying to God to deliver the state from the ‘evil clutches’ of the Governor. He said “It has been the saddest three days in the history of Imo State only comparable to the genocide of the Civil War days. Indeed all Christian denominations, in all places of worship last Sunday had a common sermon and prayer point for the Almighty God to deliver Imo State from the evil clutches and despoliation by a Governor who claims a mandate freely given by majority of the people he has now turned round to punish like Pharaoh did to the children of Israel. We know their prayers shall overcome Okorocha’s wickedness. The PDP spokesman also debunked reports that the state government gave the occupants of the market enough time before the demolition. He said “The claim by the State Government of having given ample notice and having an alternative site (a naturally water logged ditch at Ohii in Mbaitoli L.G.A) is sheer falsehood. "This is because the Owerri Main Market cannot justifiably be relocated to a Local Government that is not within the Owerri Capital Territory nor in Owerri Federal Constituency. The residential areas and indigenous population in Owerri cannot be relocated to the place where Okorocha claims to be a new site. 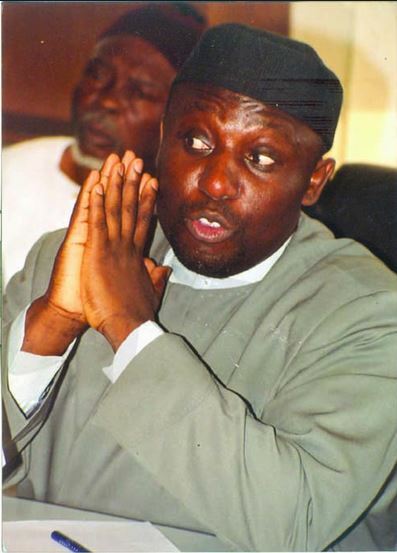 Reports say security operatives have been deployed to Imo state to forestall a breakdown of law and order.